Proudly Since 1983, Blackwood Tree Service’s established team are the unsung heroes of safer backyards, schools and parks through the Blackwood community. When the keys were handed down to our new Managing Director; Keir Hietanen, Blackwood Tree Service became a second generation Blackwood local family operated business. With this change came the new location at 163 Main Rd Blackwood and a freshened up look whilst maintaining their same family trusted tree management and removal services. Keir Hietanen has well over a decade of Arborist experience with Blackwood Tree Service: from learning the ropes to becoming the Head Climber and Team Leader. Keir built and continues to build value into what Blackwood Tree Service offers its Clients, Customers and community alike. Blackwood Tree Service boasts a business built on value, local word of mouth, community involvement and local staff. 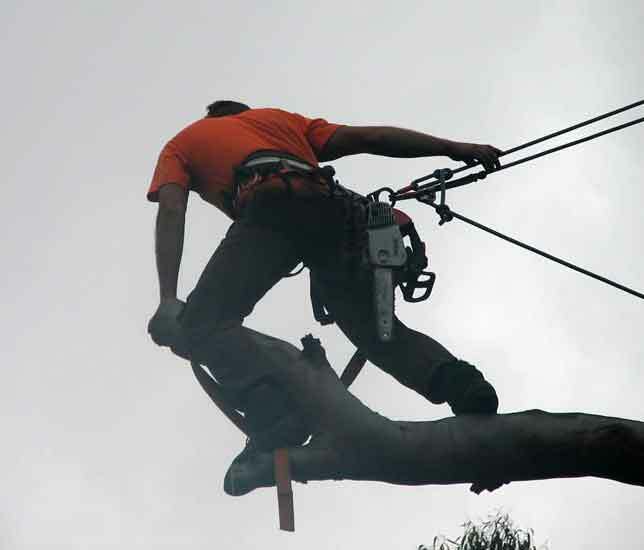 Blackwood Tree Service is fully insured, and adheres to all required Australian Standards AS 4373-2007.